Amazon SES is an email service that provides you with a way to send and receive emails using your own email addresses and domains. 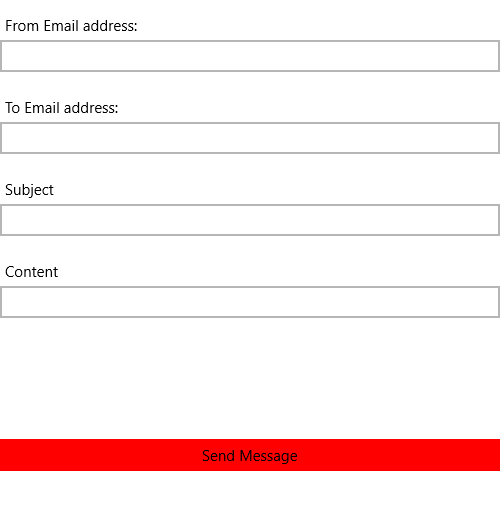 This article will demonstrate how one can use this service from a UWP application and send an email to a specific address. Create a standard UWP application and add a RadDataForm element to it. We are also going to add a button element which will be responsible for sending the email. Open the NuGet Package Manager and install the AWSSDK Simple Email package. The Next step is to create the ViewModel. It will need an IAmazonSimpleEmailService instance which will be used for sending the emails. We also need to implement the command that the Button is bound to. Before using the application you must verify some email addresses. If you are using the test environment both sender and receiver addresses must be verified. This should be done from the AWS console. You can read the Verifying an Email Address Using the Amazon SES Console article in order to learn how to do that. Please note that the addresses are verified for each region and the regions in the console and the application must be the same. After the addresses are added you are ready to test your application.